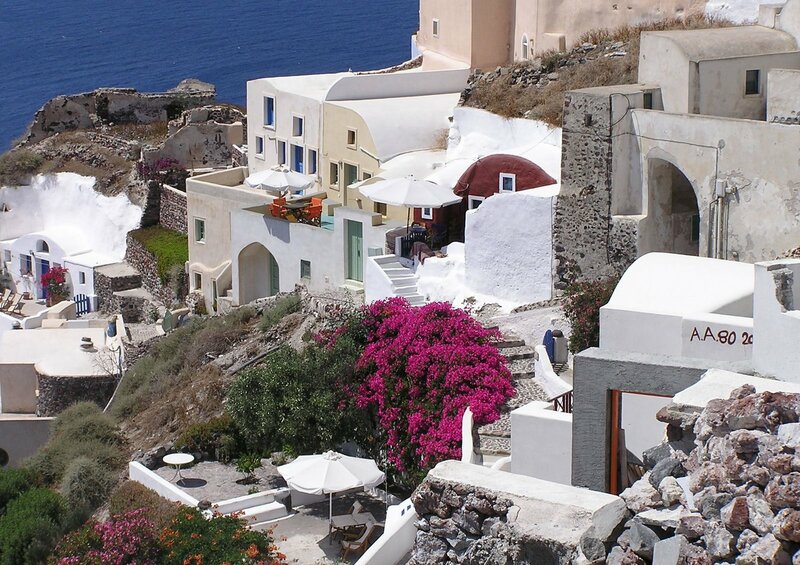 These pictures of the cliff homes in Oia were taken during our visit to Santorini, Greece last summer. They were first published on my brother's site, movingtofreedom.org. 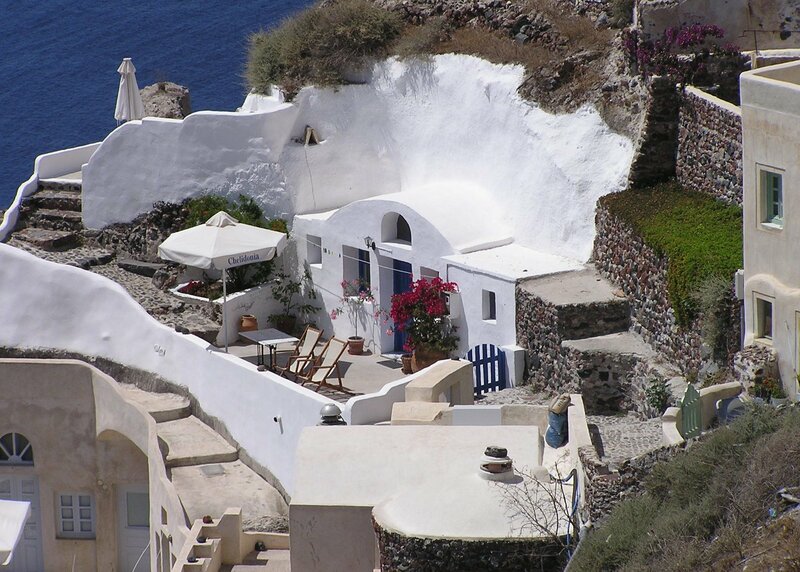 I would like to rent this house and stay for a month or two. It looks wonderful.